The device works by using an instantaneously assembled high-energy laser to shoot at the site of the treatment.The black clot that gets smashed up will be swallowed up by phagocytes and expelled from the body.The technique doesn\'t cause much damage to the skin and is quick to treat.Immediately. 1, before operation,disinfect skin and spot needles. 3,Doing spot removal, do not let needles go into skin depth,and using time not long in one area, avoid burn skin. 4,if do one treatment which is not good result, until skin recovery then do spot removal again, but can not let needles go into skin depth. 7,after scabs from treatment are,do not remove scabs,until scabs fall off naturally. 8,Skin inflammation,purulent , pain and others, stop treatment. 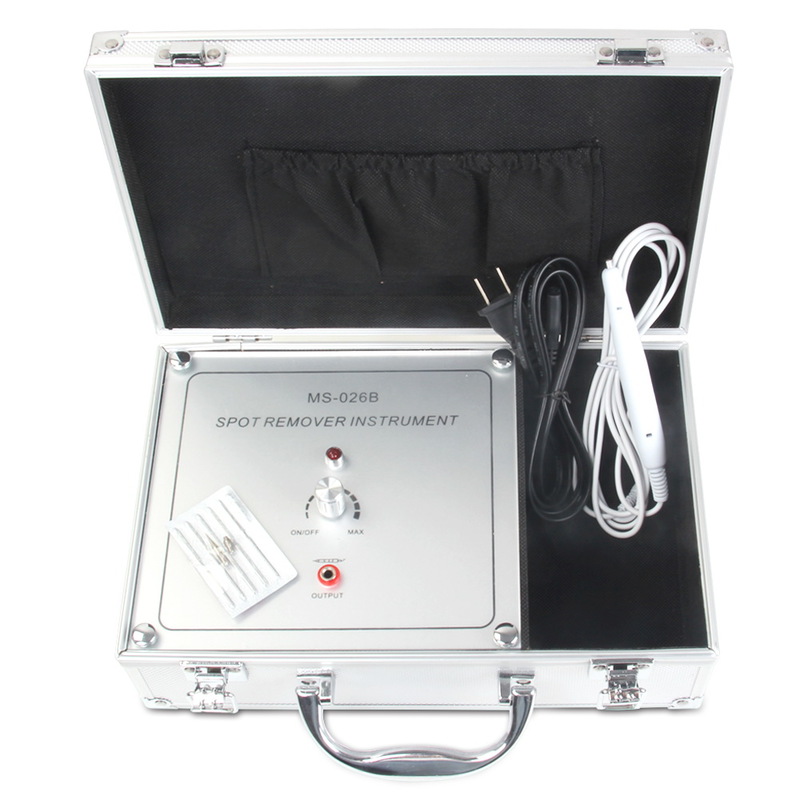 Spot removal pen use coagulation of high-frequency electric current, urges the cell necrosis of the epidermis, which can thoroughly eliminate all kinds of spot on the face and the other skin surface.